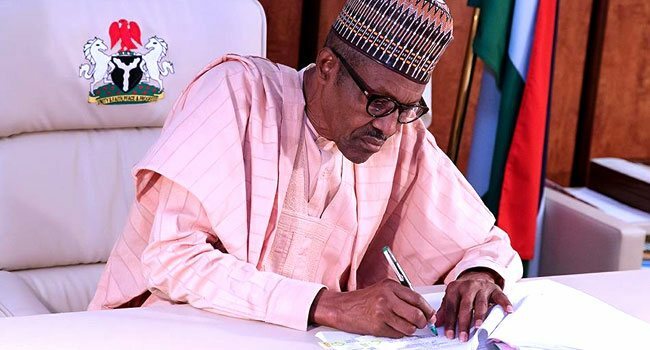 President Muhammadu Buhari on Tuesday said he would approve a new law to reduce the age limit for political office, raising the prospect of younger candidates at next year’s general election. “In (a) few days to come, I will be joined by many promising young Nigerians to sign into law the ‘Not Too Young To Run’ bill,” he said in a speech to mark the annual Democracy Day public holiday. The bill was passed by the Senate and the House of Representatives last year and later received the constitutionally required approval of two-thirds of state legislatures, leaving the final step of presidential assent. It reduces the minimum age for presidential candidates from 40 to 35, and state governors and senators from 35 to 30. The minimum age for national and state assembly members will now be 25. The overall aim of the change in the law is to increase the participation of young people in politics. More than half of Nigeria’s estimated 180 million people are under 30. The Youth Initiative for Advocacy, Growth and Advancement organisation, which has backed the bill, has said youth inclusion was “a constitutional imperative for democratic development”. Buhari, 75, is hoping to be re-elected to a second, four-year term at elections in February next year, which will be Nigeria’s sixth since the restoration of civilian rule on May 29, 1999. But there have been lingering question marks about his health after he spent several months undergoing treatment in London for an undisclosed illness. Political candidates are currently jockeying for position to oppose him, but one declared hopeful is former vice-president Atiku Abubakar, 71.